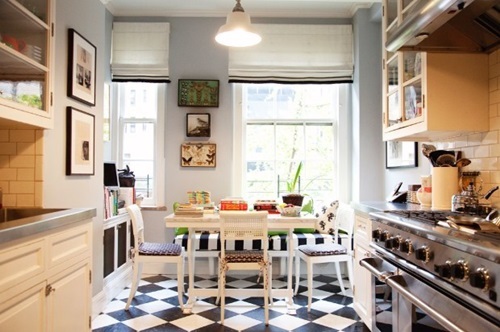 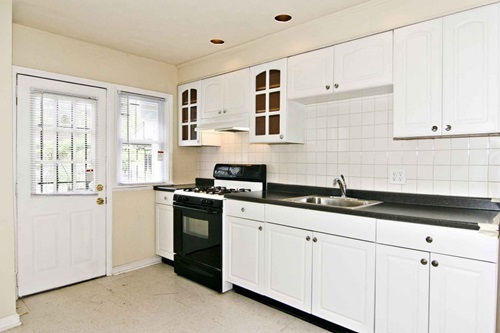 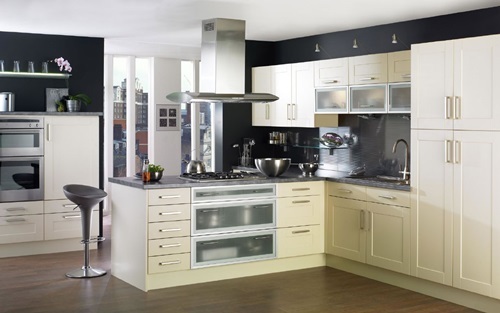 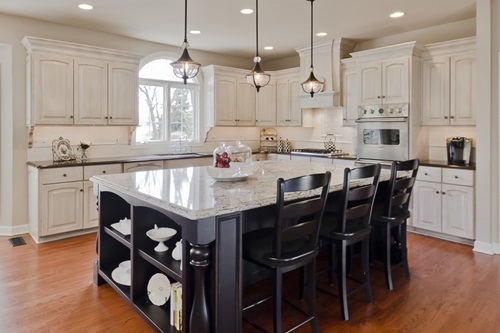 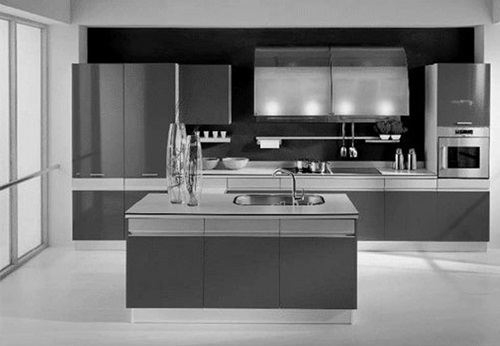 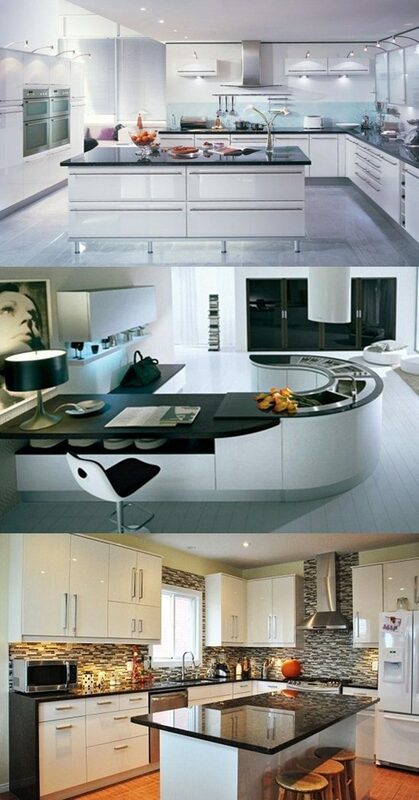 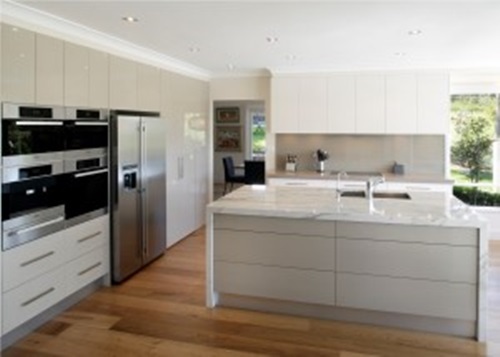 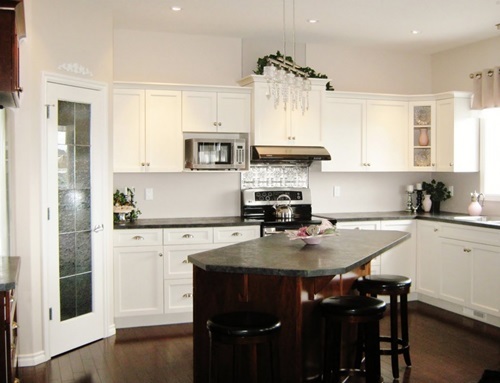 The modern kitchens are famous for their shining and clean look. 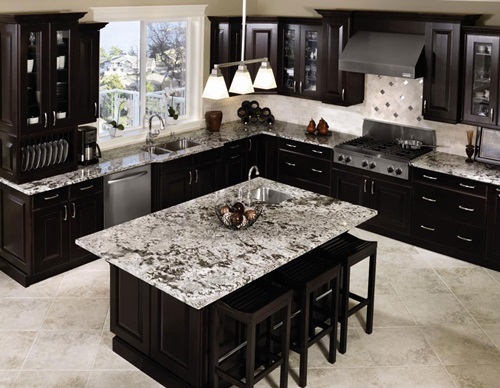 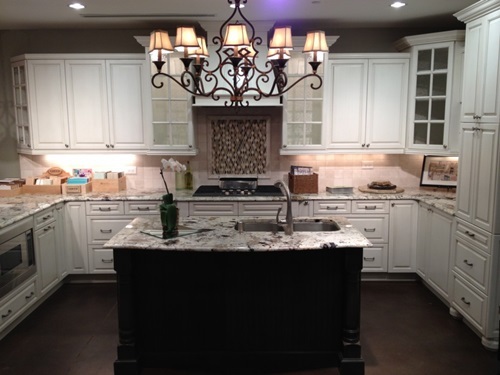 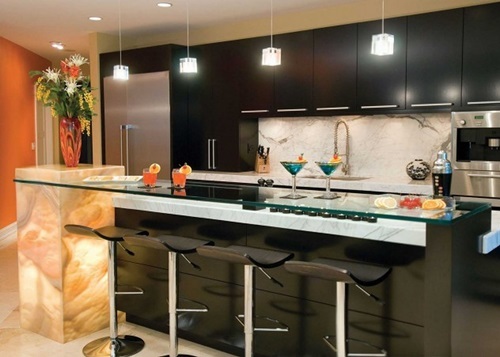 Such a glossy look should appear in your cabinets, countertops, island, and floor to create a harmonized look. 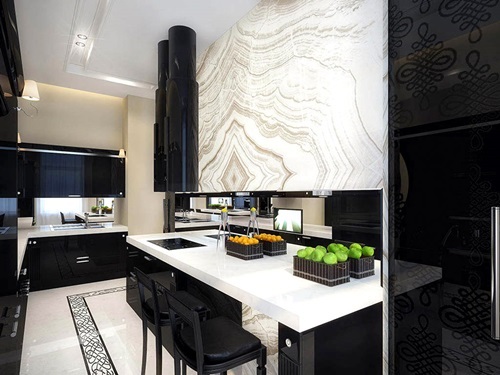 The contrasting colors such as black and white will reveal the beauty of the place giving you a chance to use different materials and accents, but you will need to create a sense of balance between the two colors. 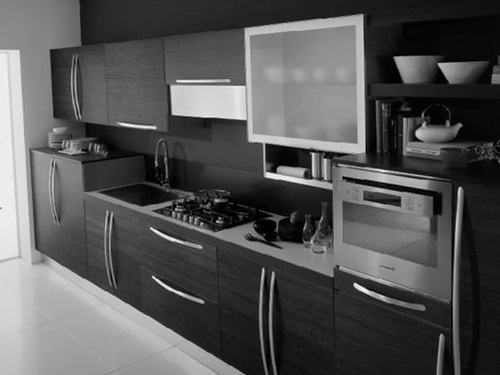 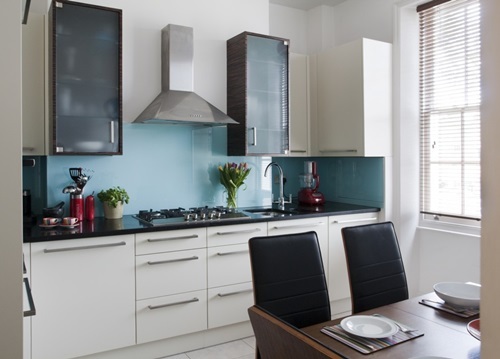 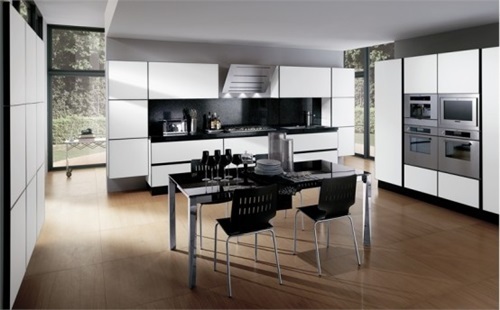 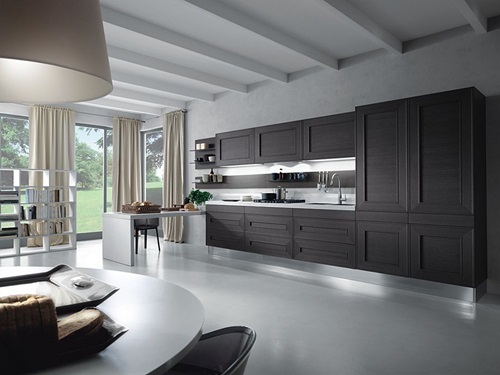 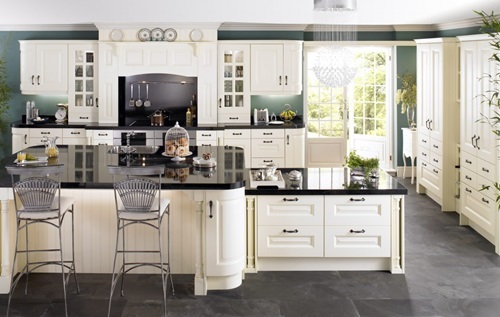 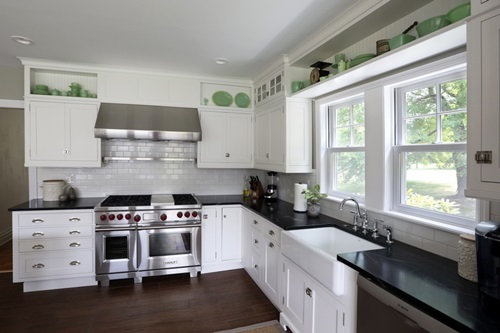 The glossy white or black cabinets can be made from wood or metal and finished with solid acrylic panels as they are waterproof and can give your kitchen a luxurious look. 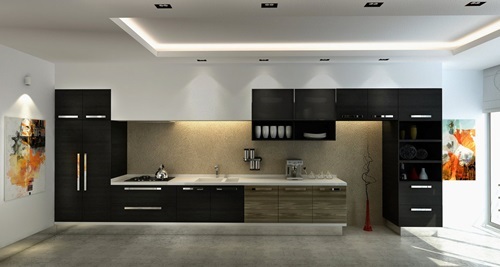 The high gloss lacquer will be an ideal finish to your wooden cabinets and island as the premium high gloss lacquer has smooth feel and marvelous look. 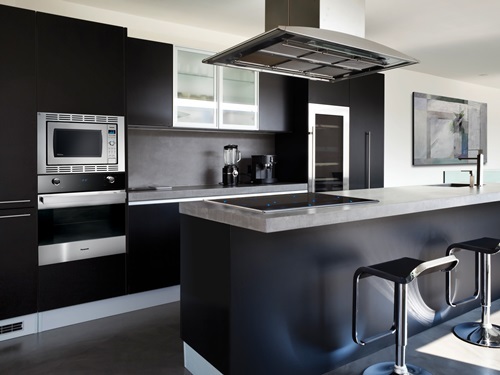 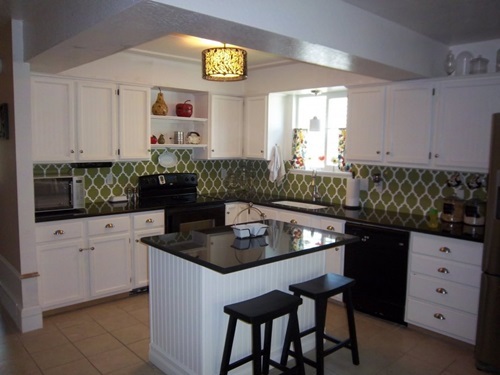 For a cheaper option, your white or black cabinets can have a glossy look using a thin layer of acrylic that is sealed to resist water. 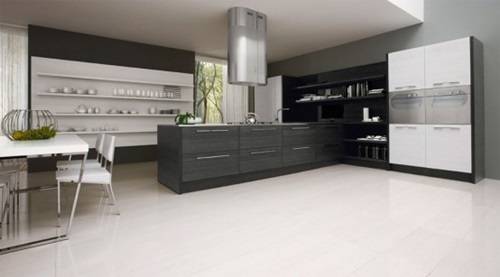 The glossy kitchen floor can be made of different materials such as polished concrete, epoxy floor, and stained concrete. 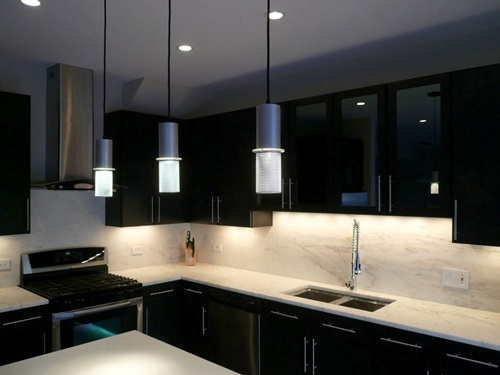 The polished concrete is inexpensive, lighting reflective, easy to maintain, resistant to moisture and high traffic areas, and sustainable. 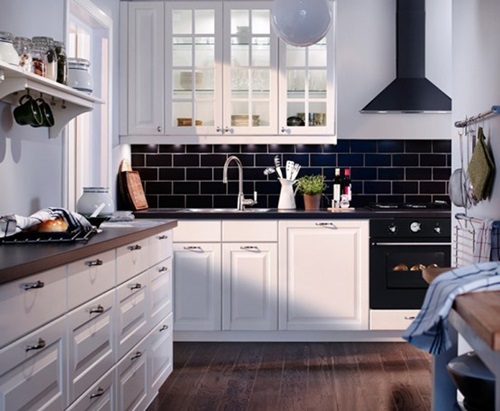 The stained concrete has different colors and designs and versatile; so, it will add a unique value to your black and white kitchen. 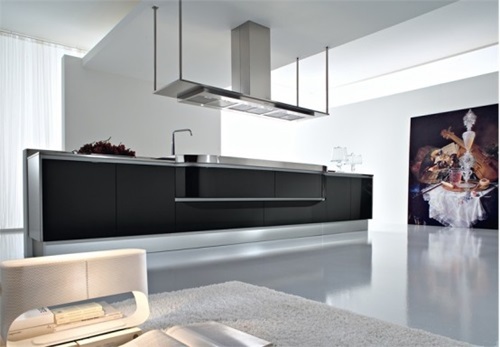 The epoxy floor will be another strong and aesthetic glossy option that will give your kitchen a nontoxic and eco-friendly feel. 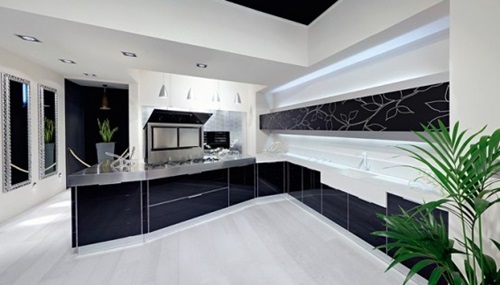 You can complete the look of your glossy kitchen using glass appliances and surfaces in addition to white or black granite, laminate, vinyl, or melamine workspaces. 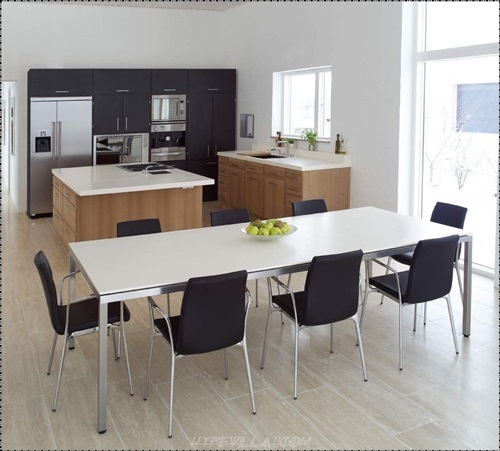 The island chairs and surface can be made of similar glossy materials and colors to create a sense of unity and balance in the place. 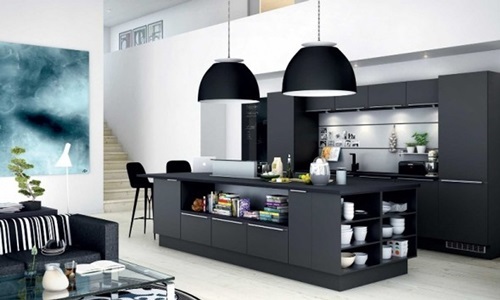 This way, you will have a breathtaking kitchen that will need regular cleaning and maintenance to keep its glossy shining look.